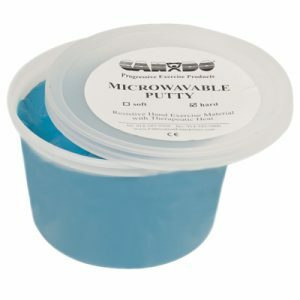 Theraputty™ Microwavable Exercise Putty is the standard in resistiance hand exercise material that is formulated to be heated in the microwave oven. 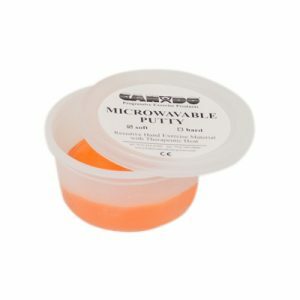 Exercise putty is used for hand therapy and to strength hand grasp. 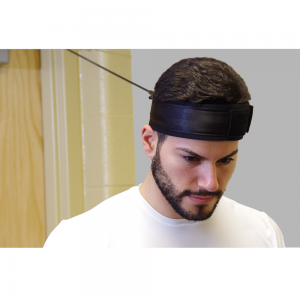 This formula allows you to warm exercise putty in a microwave. Use warmed putty to perform soothing hand exercises. 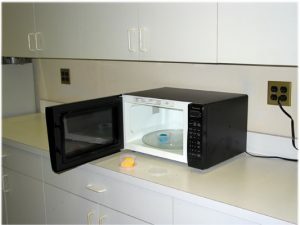 This microwavable formula now that allows you to warm exercise putty in a microwave. 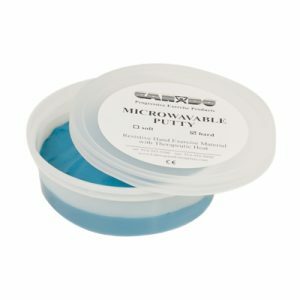 Use warmed therapy putty to perform soothing hand exercises. 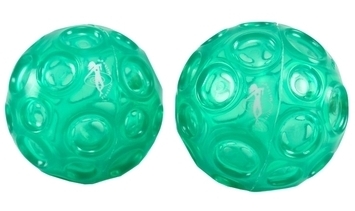 Theraputty® Microwaveable Exercise Putty comes in 2 strengths. 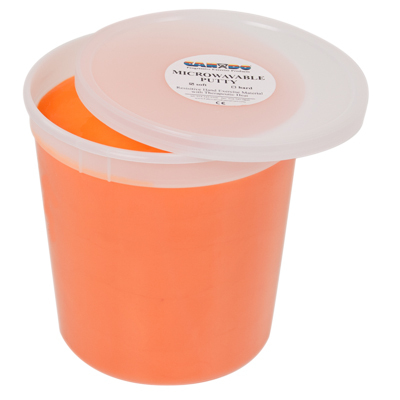 The Orange microwavable putty is soft for strengthening the weakest grasp and the blue microwavable putty is firm for developing a stronger grip. 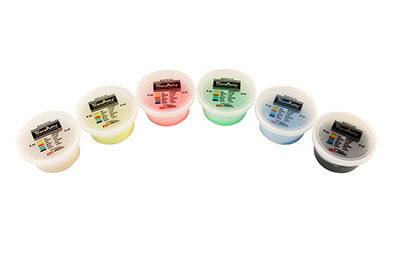 Available in convenient easy-open plastic containers (2, 3, 4 and 6 ounce) for individual patients to use at home and a choice of larger containers (1and 5 pound) for the hospital or clinic. 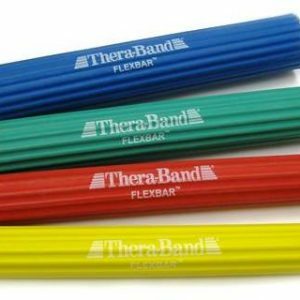 Available in 2 levels of resistance Soft and Firm.